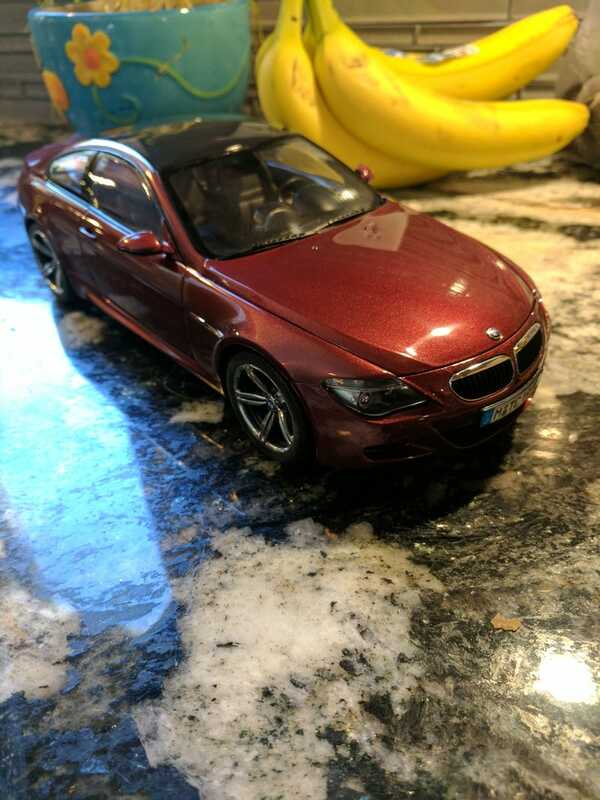 It looks like the awesomely awesome model I got off eBay from the Czech republic about a month ago won’t make it, so this Kyosho BMW M6 will have to make due! I scored this boxless model for only $62. I had my heart set on Interlagos Blue to match my M5, but Androoo’s post made Indianapolis Red look so good! Banana for scale. Thanks again to everyone who wished me a happy birthday yesterday!